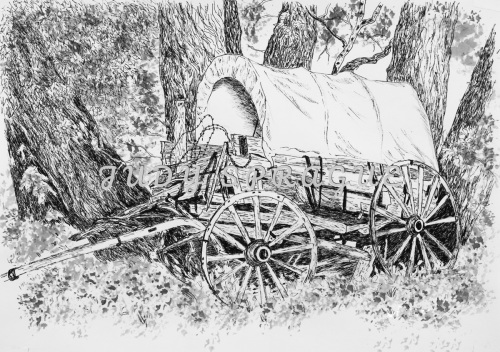 Abandoned old covered wagon discovered in a grove of cottonwood trees in western Colorado. This original has been double matted and custom framed. 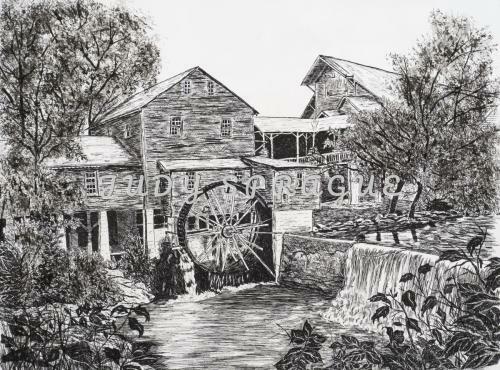 This drawing of the old mill at Pigeon Forge, Tennessee measures 18x22 and is custom matted and framed to 26x32. 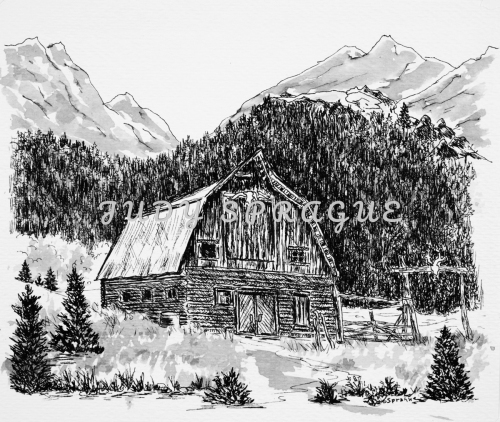 This original ink drawing is of the old Sprague homestead near Yampa, CO. 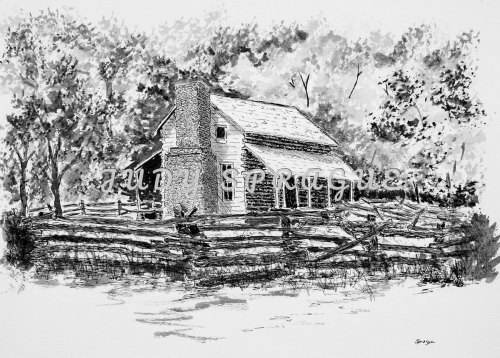 This original measures 10x16, and is custom matted & framed to 16x20. 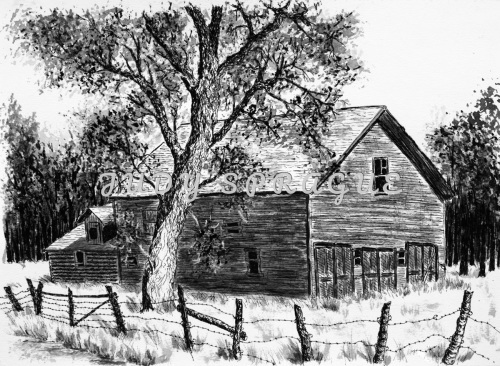 Historical old barn in cattle ranching area between Powderhorn and Cathedral, Colorado. Peaceful old home typical in early America! Custom framing completes this presentation. 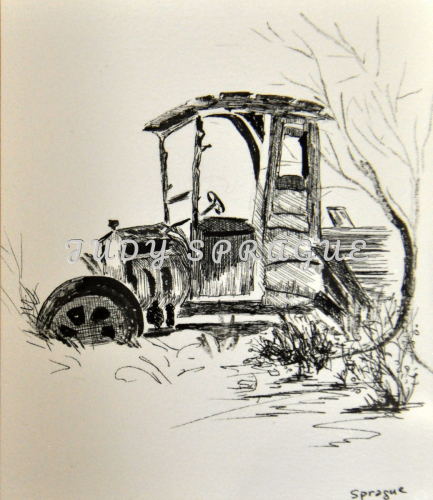 Custom framing compliments this lovely pen and ink original drawing. 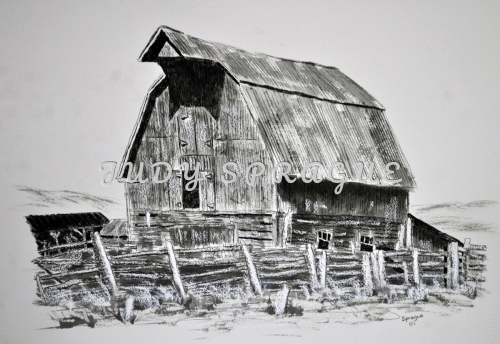 Beautiful old barn near Gunnison, Colorado. Image measures 10x20 and custom framed to 24x28. 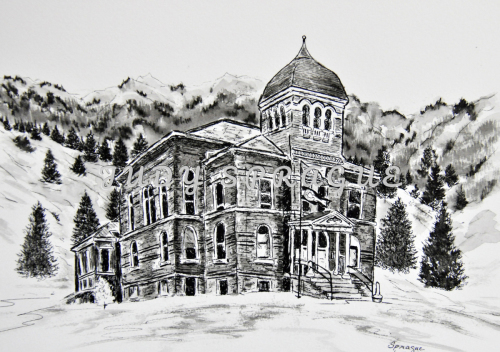 This wonderful old building is in the historical mining town of Ouray, Colorado. 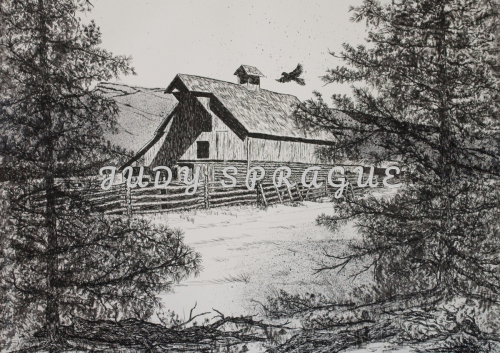 The original is custom matted & framed. 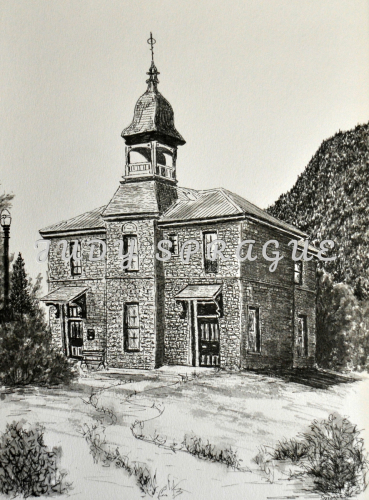 This amazing historical building is in Crested Butte, Colorado and now houses the town library. 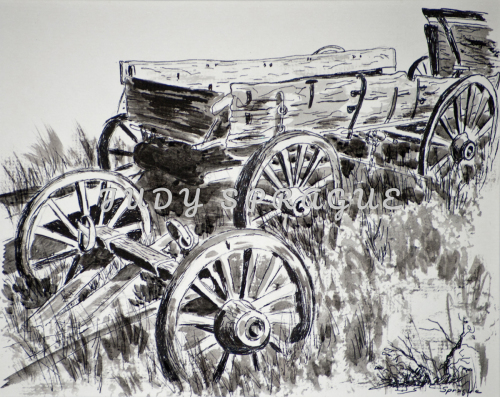 This original ink drawing has been custom matted and framed to 16x20. Old wagon still used on a working ranch in Western Colorado. 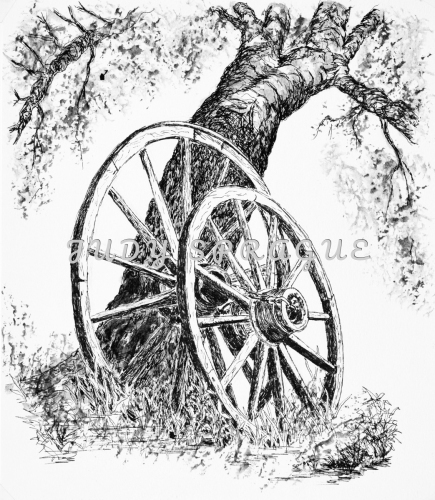 This original ink and ink wash drawing measures 8x9 and has been custom matted and framed to 16x17. 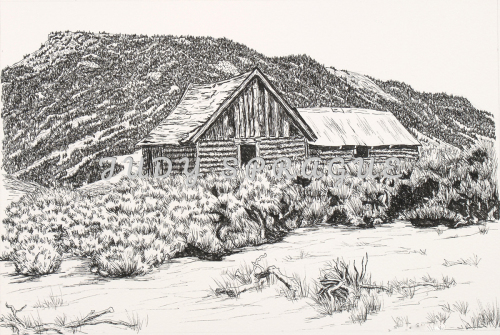 This small original ink drawing is double matted and custom framed in black and white.